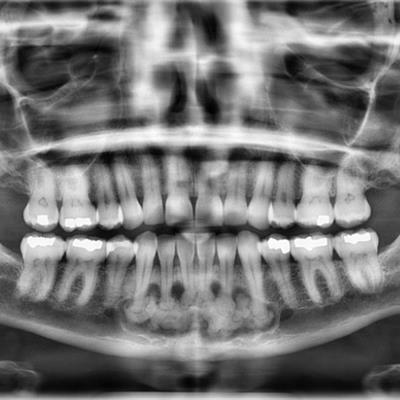 A 9-year-old boy with radiopaque area on radiograph. 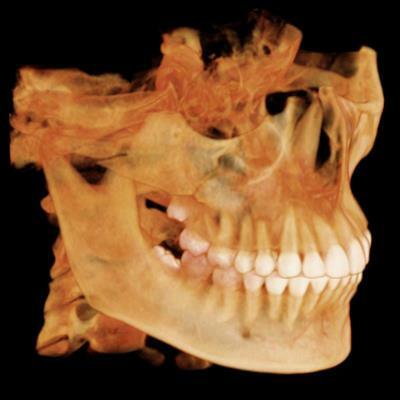 A 54-year-old woman with swelling of the chin for the last six months. 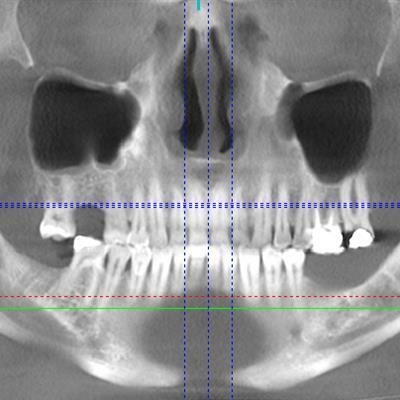 A 44-year-old woman with a lesion at the anterior mandible. 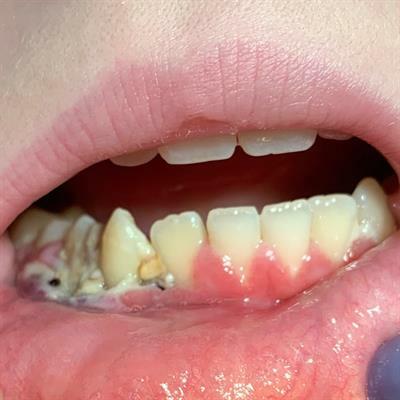 A 17-year-old boy with albinism, extensive bone loss, severe gingival inflammation, and heavy plaque. 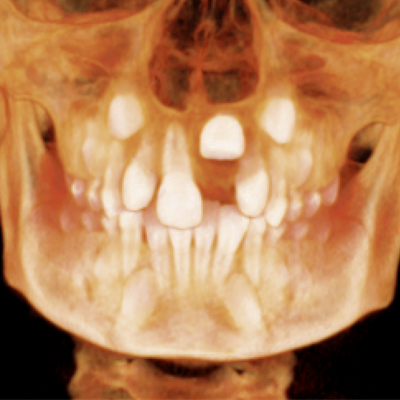 A 43-year-old woman with an impacted supernumerary tooth at the left maxilla. 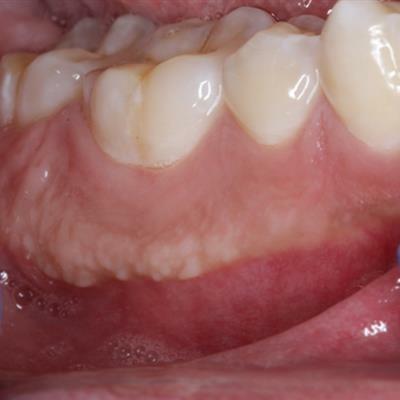 A 13-year-old boy with white lesions at the gingiva of the right posterior mandible. 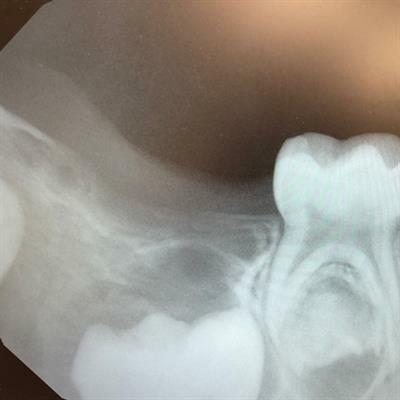 An 11-year-old boy undergoing evaluation for the delayed eruption of tooth #9. 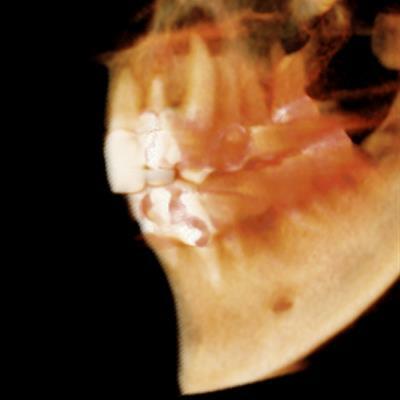 A 65-year-old woman with mild, intermittent pain and swelling of the left maxilla for the past six months. 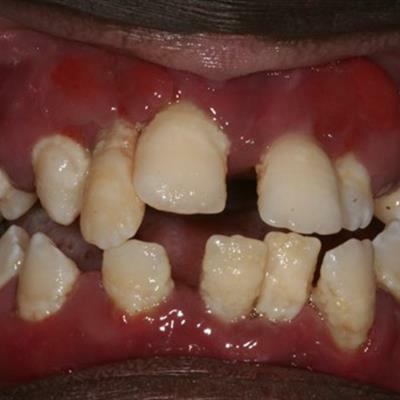 A 13-year-old boy with severe pain at the lower right gingiva for the last three days. 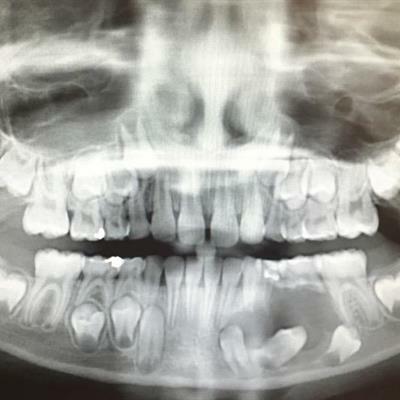 A 16-year-old girl with a lesion on the upper left maxilla. 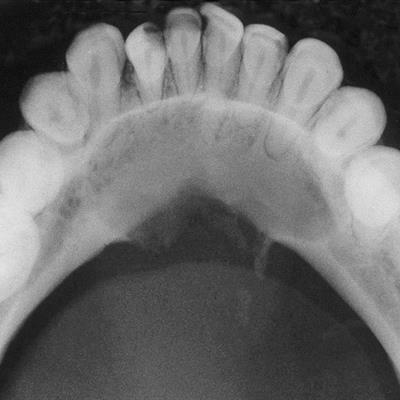 A 4-year-old girl with a mandibular lesion found on periapical radiograph. 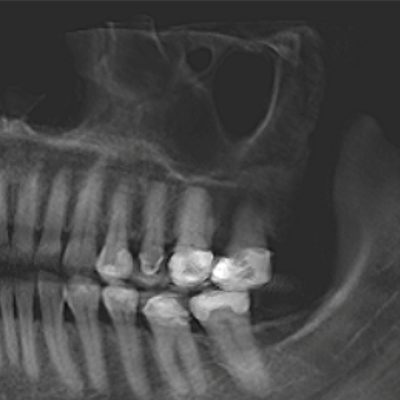 A 45-year-old woman with mild, intermittent palatal pain and swelling. 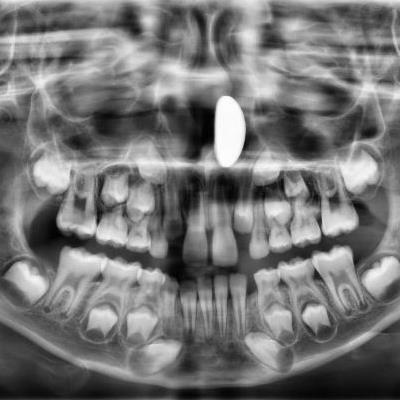 An 8-year-old girl with teeth very sensitive to cold and hot. 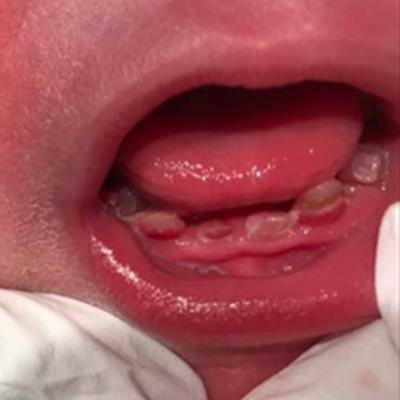 A 10-day-old female infant presents with early teeth. 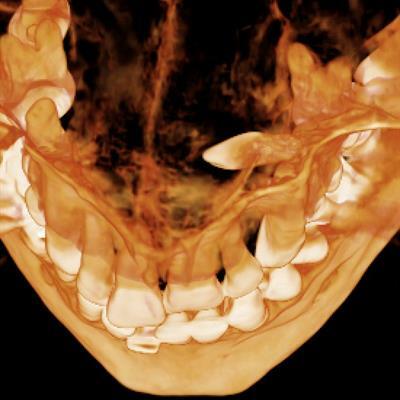 A 45-year-old woman with mild and ill-defined pain over the left maxilla. 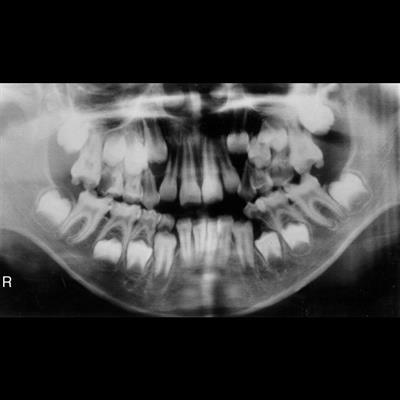 An 8.5-year-old boy with mandibular swelling and a lesion on radiograph. 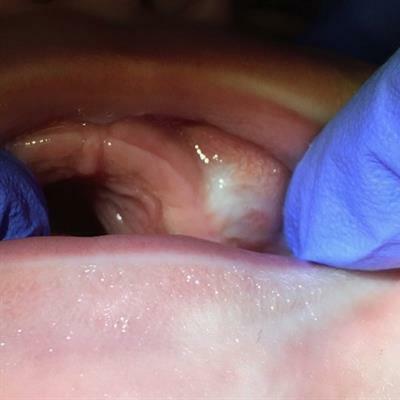 A 3-month-old female infant with swelling and a firm, fast-growing mass in her mouth. 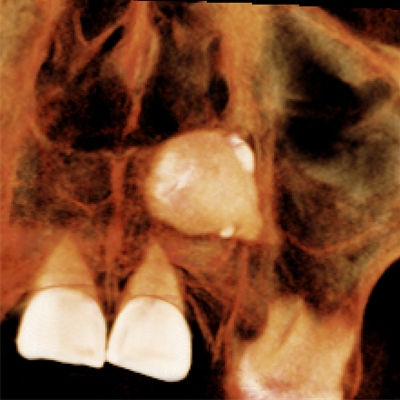 A 19-year-old woman with a painless mandibular lesion. 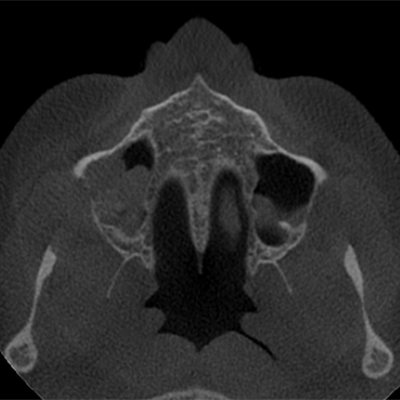 A 44-year-old woman with a maxillary sinus mass and moderate pain and discomfort for the last two months.